Thank you for shopping at THEGILDEDSTONE.COM(the “Website”). This privacy and security policy (“Policy”) outlines the information we collect about you on the Website, as well as information collected when you otherwise communicate or interact with THE GILDED STONE, how we use the information and the choices you have to review, revise and/or restrict our usage of this information. THEGILDEDSTONE.COM collects customer information for a variety of reasons, including as part of our ongoing efforts to provide superior customer service, improve our customer’s shopping experience and to communicate with our customers about our products, services and promotions, including those that we believe may be of particular interest to you based on information we have collected. We collect personal information such as your name, financial information, telephone number, e-mail and postal address (“Personal Information”) that you provide to us when you save your information with us or when you participate in a sweepstakes, promotion or survey. We use this information to process any transaction, inquiry or promotion that you initiate with us, and provide you with advertising tailored to your interests. We maintain a record of your product interests, purchases and whatever else might enable us or our business partners to enhance and personalize your shopping. In addition, we monitor use of the Website and traffic patterns to improve the Website design and the products and services we offer as well as to determine what offers, promotions or information to send to you. We also use other methods of automatic collection to determine information about visitors to our website, including the IP address, browser, language preferences, and computer identification numbers. We use the information obtained using these tools to provide better customer service, enhance our product offerings, and detect potential misuse or fraud. THEGILDEDSTONE.COM may disclose specific personal information about you if required by law, governmental request or court order, if based on our good faith belief that it is necessary to conform or comply with such law, request or court. We offer those who sign-up for our email list advanced notice of sales, new merchandise and other THE GILDED STONE news. Email addresses collected on the website are used internally and by our business partners. If you would like to unsubscribe from our email list, you can do so at any time by clicking on unsubscribe link or contact us. We will remove your name from our email list within a reasonable period of time. Please recognize that you may receive another email before we are able to remove you. Sensitive personal information contained in orders placed on the Website are encrypted using 128-bit secure sockets layer (SSL) technology. * In order for SSL security to work, you must use an SSL enabled browser. Unfortunately, no data transmission over the Internet or any wireless network can be guaranteed to be 100% secure. As a result, while we strive to protect your Personal Information, you acknowledge that: (a) there are security and privacy limitations of the Internet which are beyond our control; (b) the security, integrity, and privacy of any and all information and data exchanged between you and us through the Website cannot be guaranteed; and (c) any such information and data may be viewed or tampered with in transit by a third party;. * Secure Socket Layer (SSL) is a technology used by vendors to ensure the security of online business. It negotiates and employs the essential functions of mutual authentication, data encryption and data integrity for secure transactions. This website does not intend to market products or services to those residing outside of the United States of America. 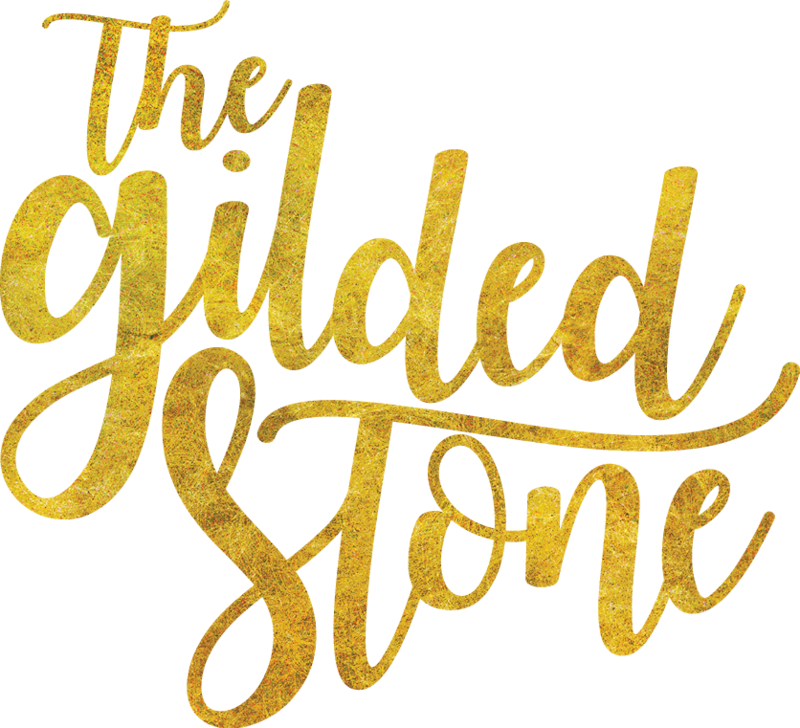 THE GILDED STONE does not knowingly gather or solicit personal information from non-U.S. residents through this website for marketing purposes, but if you are located outside of the U.S. and provide your email address you hereby expressly consent to receive communications from us. You must be 18 years old or older to use this website, including to register with us to receive communications or to make a purchase. We do not knowingly collect or distribute personal information from persons under the age of 18. If you are the parent or guardian of a minor under 18 years of age and believe that they have disclosed personal information to us, please contact us by e-mail so that we may delete the minor’s information. In addition, if we become aware that we have inadvertently received personal information from anyone under the age of 18, we will delete such information from our records. THE GILDED STONE.com may periodically update this Privacy & Security Policy for new, unanticipated uses not previously disclosed. Any changes made will be posted here. By visiting our website you agree to accept any changes made to this policy. Feel free to contact us with any questions about our Privacy & Security Policy.